Components: Paper tube, iron bottle and confetti. 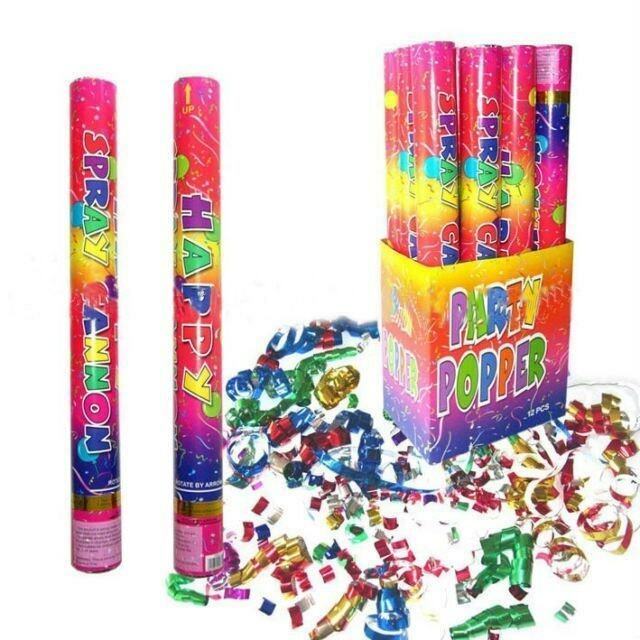 Our party popper is used for celebration occasions, inside or outside,Such as: Birthday party, New Year's Eve Celebrations, Wedding Ceremony, and all kinds of fair opening celebrations. You only need rotate the bottom according to the arrow point , the colorful confetti willerupt into the sky ranging from 10 feet to 90 feet. 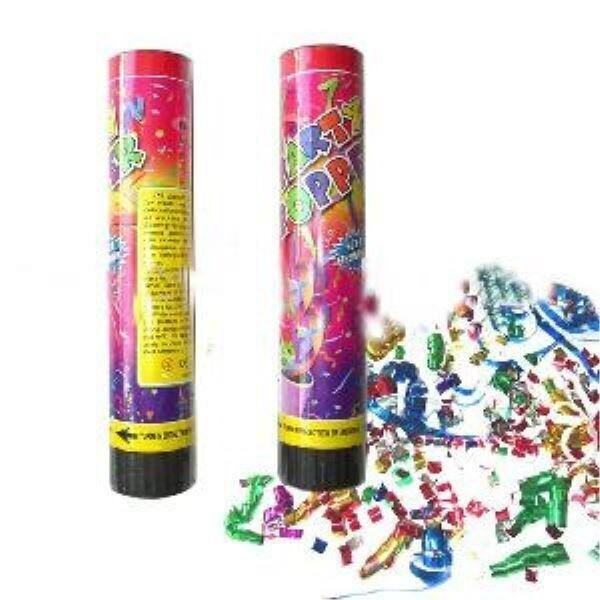 The product can increase the festival atmosphere and promote the celebration to the climax.